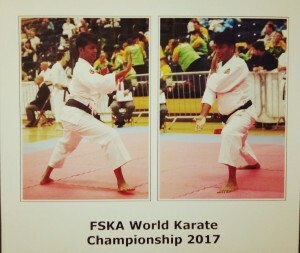 WeSchool is proud to share that Ameya Waingankar, a young karateka wins Gold at the recently held 19th FSKA World Karate Championship 2017 at Crawley, London. Participants from over 20 countries such as USA, England, Russia, Ukraine, Portugal, France, Kenya, Italy, Mauritius, Iceland, Ukraine, Srilanka, Pakistan and South Africa took part. Ameya believes that Karate is a martial art of peace and is the reason why Karate is practised across the world. Talking about his latest victory, Ameya is happy to share that competition is one of the best forms of experiential learning. According to him, the 19th FSKA World Karate Championship 2017 has been an enriching experience. It has given him an opportunity to compete with the best in the world and win Gold Medal for India. Ameya expresses gratitude to United Budokan Karate Academy, Thane - Sensai Mr Santosh Chawan ( National Chief Instructor) for training him over last 14 years in Karate. He is thankful to WeSchool for supporting and cheering him to achieve success. This makes it an Olympic Sport from now on. Ameya has been learning Karate from Karate Budokan International in India for the last 14 years. 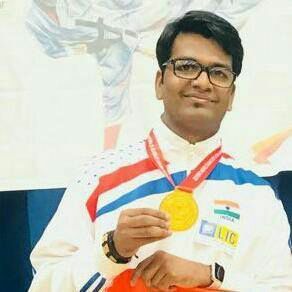 He is qualified as a second-degree Black Belt and also an authorised instructor with United Budokan Karate Academy, Thane. He currently works at WeSchool’s innoWE , a hub for business ideas. Nepal 2008 – One Bronze Medal for India ( Organised by Nepal Olympic Committee, participated by 4 Asian Countries ).